Chimney code violations can be a nuisance but should be taken seriously because it could indicate a potentially serious chimney issue that should be fixed before developing into a more dangerous problem. We are qualified and experienced in repairing all types of chimneys and correcting any chimney and fireplace code violations. We perform a detailed diagnosis to identify the source of the problem and provide you with the quickest and most cost effective solution. Avoid citations and building code violations and call us today 1-877-952-7425 to ensure that your chimney and fireplace are compliant with safety codes and regulations. 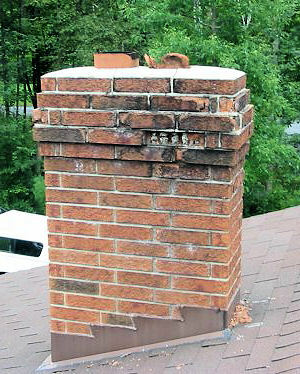 You will have peace of mind knowing your chimney is in good condition and working safely. Call us today and get your building code violation cleared so it doesn't cause you any more problems.